Eversound enables every resident at your senior community to participate and engage with more comfort and autonomy. Connect any audio source to the transmitter. 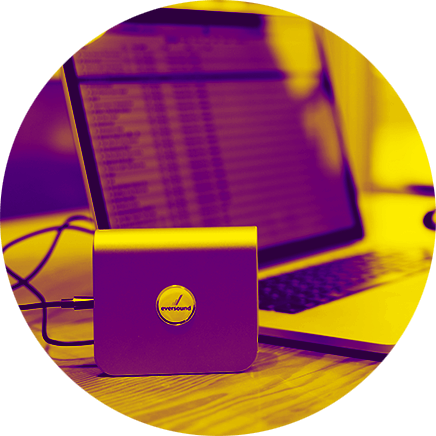 Eversound connects directly to your A/V system for use during speaker events, movies, and more and to any audio source with a physical audio output. Each pair of Eversound headphones features an easy-to-use personal volume dial and simple pairing process. Charging Eversound headphones is fast and simple with the included case. 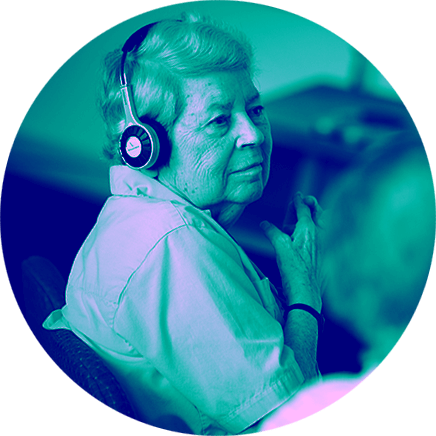 Eversound headphones are lightweight, adjustable and hearing-aid friendly for ultimate comfort for all residents during listening sessions. Eversound headphones are fully wireless — they even charge wirelessly. 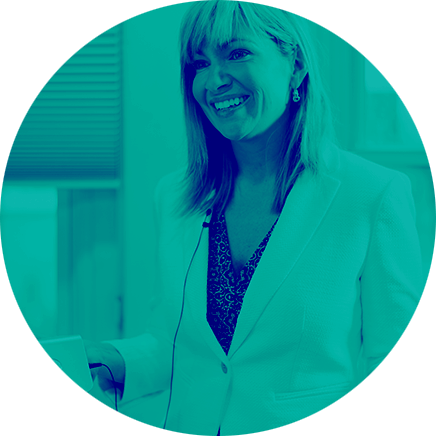 Using the included clip-on microphone, you can broadcast crystal clear audio of your voice. Our Community Engagement team is always available to help empower your residents. 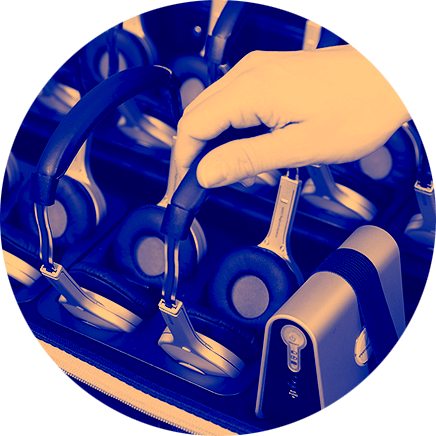 For maximum sanitation, Eversound headphones feature replaceable ear-pads. 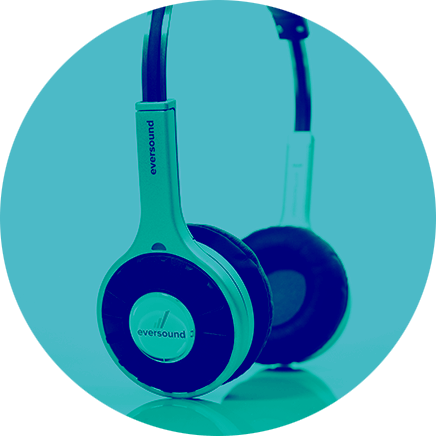 Eversound headphones are made with anti-microbial plastics that promote sanitation.